The Internal Revenue Service headquarters building in Washington is shown in this April 13, 2014, file photo. Treasury Department officials portrayed the changes as important free-speech and privacy protections for donors. Critics see the easing of disclosure requirements as opening the door to more dark money in political campaigns. Americans for Prosperity and the NRA are two groups that will benefit from the new IRS policy. Republicans accused the Internal Revenue Service during President Barack Obama's tenure of liberal bias and unfair targeting of conservative tax-exempt groups. 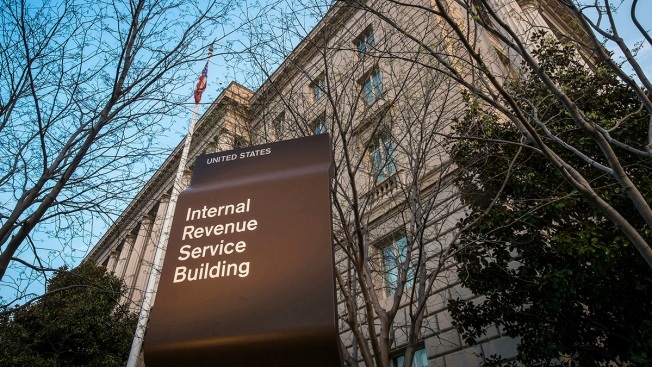 Now those groups figure among the organizations allowed to withhold names of their donors under the new IRS policy announced late Monday. "Americans shouldn't be required to send the IRS information that it doesn't need to effectively enforce our tax laws, and the IRS simply does not need tax returns with donor names and addresses to do its job in this area," Treasury Secretary Steven Mnuchin said in a statement. Mnuchin said the same information on tax-exempt groups that was previously available to the public will continue to be so, while private taxpayer data will be better protected. Critics said the action will hurt openness in political campaigns and allow hidden unscrupulous donors to funnel money into the system. "It is another Trump blow against transparency and for obscurity — hardly his promised swamp drainage," said Norman Eisen, the chief ethics lawyer in the Obama administration who is a governance studies fellow at the Brookings Institution. Eisen said the current required disclosures also allow the IRS to monitor unlawful foreign contributions. News of the IRS policy change came the same day federal prosecutors charged a gun-rights activist living in Washington with serving as a covert Russian agent gathering intelligence on U.S. officials and political organizations. 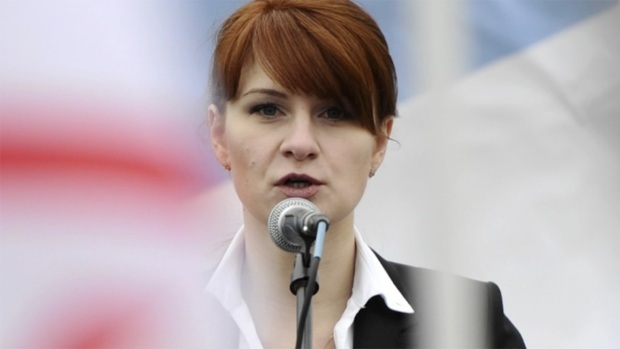 Court papers show that the activities of the activist, Maria Butina, included efforts to use contacts with the National Rifle Association to develop relationships with U.S. politicians during the 2016 campaign. The NRA is one of the groups that will benefit from the new IRS policy. Sen. Ron Wyden of Oregon, the senior Democrat on the Senate Finance Committee, said Tuesday he'll vote against President Donald Trump's nominee to head the IRS, Beverly Hills tax attorney Charles Rettig, unless Rettig commits to restoring the disclosure requirement. "Trump's Treasury Department made it easier for anonymous foreign donors to funnel dark money into nonprofits the same day a Russian national linked to the NRA was arrested for attempting to influence our elections," Wyden said. "It's the latest attempt by Secretary Mnuchin and Donald Trump to eliminate transparency and keep officials and lawmakers from following the money." House Democratic Leader Nancy Pelosi denounced the IRS move as "President Trump's late-night giveaway to shady donors and interest groups (that) makes dark money even darker." Under the new IRS policy, charities that mainly receive tax-deductible contributions and political organizations will still have to provide in their annual returns the names and addresses of their donors giving at least $5,000. But so-called social-welfare organizations, business leagues and labor unions will be relieved of a requirement that the Treasury Department said Congress never imposed. The IRS "makes no systematic use" of donor information provided by those groups in carrying out tax rules, the government said, and if the information is needed for an audit, the IRS can ask the group for it directly. The Chamber of Commerce praised the new policy. 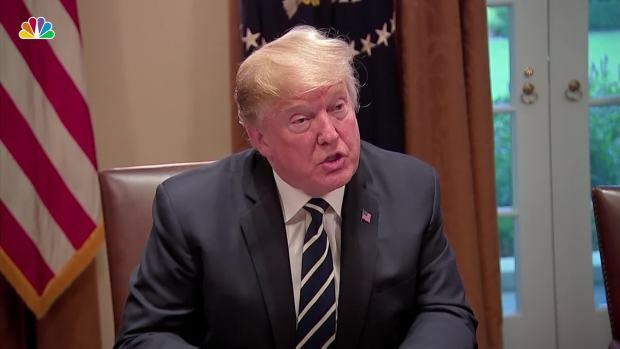 "This action will help ensure that sensitive donor information will not fall into the hands of those who wish to suppress the First Amendment right to free speech," spokesperson Blair Holmes said in a statement. "The U.S. Chamber strongly supports the right of all organizations — no matter their ideological or political persuasion — to participate vigorously in our nation's important policy conversations." Americans for Prosperity is one of the groups backed by the influential network of conservative billionaire brothers Charles and David Koch. "Preserving the right to privacy is essential to protecting free speech and free expression," the group's chief government affairs officer Brent Gardner said. "We support the IRS taking this step in protecting the free-speech rights of all Americans, regardless of political views or affiliations." Spokesmen for the NRA didn't immediately comment on the IRS policy change.